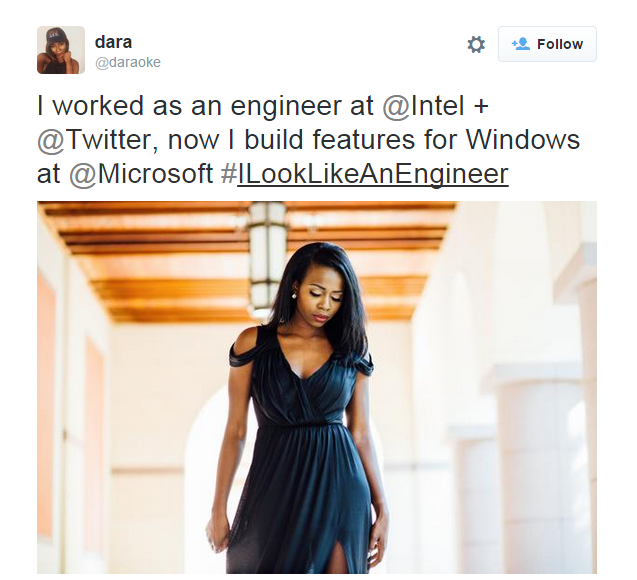 #ILookLikeAnEngineer was started by software engineer Isis Anchalee in response to the sexist reaction to her photo on an ad for the tech company she works for, with commenters on Facebook pondering whether the company had hired a model to pose for the ad rather than using a real engineer. Anchalee's hashtag took off yesterday and female engineers all over have shared their stories and pictures of just what a woman in engineering looks like. We wanted to highlight some of the awesome black ladies who participated in crying out #ILookLikeAnEngineer.